Tyler “Ninja” Blevins is a name you may not have heard of just six months ago, but right now he is one of the biggest stars in the world. When he’s not becoming besties with Drake, NFL rookie sensation JuJu Smith-Schuster and rapper Travis Scott, he’s off telling the world how playing games can be a great option for a career, while still emphasizing that education is the most important thing, on massive TV stations such as CNBC. Even when he isn’t making mainstream headlines you can be sure that he has 100,000 or more people, watching him play Fortnite to a ridiculously high level. He is in the top tier of Fortnite players when it comes to skills, but he is unmatched when it comes to popularity and is constantly setting new records on Twitch. 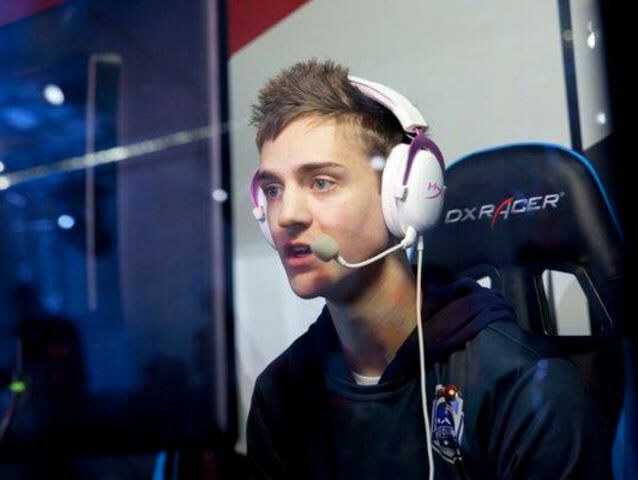 Ninja’s rise from top level streamer to by far the most popular man on Twitch has been rapid, dethroning the likes of Shroud and Dr DisRespect in the space of just a few months, but his history in the world of games, streaming and esports spans almost 10 years. Go all the way back to the days of the Halo 3 competitive scene and you will discover the first steps Ninja took into the competitive gaming landscape. In the 2009 MLG Halo 3 circuit Ninja started his rise to fame, placing in the top 30 at both MLG Orlando and Anaheim, which was certainly a great start in the stacked Halo scene. He wasn’t someone that instantly came in and became a very top player, but late 2009 and early 2010 was when he quietly started to make a name for himself. Fast forward to late 2010 and Halo Reach has been released, which is where Ninja really started to grow into the top level of Halo. Throughout the entirety of the Reach era Ninja never placed outside the top 16 at a major event and started to team with some of the biggest names in the scene such as Dave “Walshy” Walsh and Michael “StrongSide” Cavanaugh. He never quite managed to win a major event, with second place at AGL 2 Columbus, the last ever Reach tournament, being his best finish. It was during the Reach era when Ninja first started to stream on Twitch, becoming one of the top Halo streamers way back in 2011. Some of his old clips are still available on his channel, which has now grown to an unbelievable size. Ninja also started up his, now very popular, YouTube channel around the same time. He had a different channel before, but hilariously managed to delete it, meaning he was forced to create a new one in late 2011. If the Halo Reach era was when Ninja established himself as a name in the Halo scene, it was Halo 4 where he was at his prime. Throughout the entirety of the game’s competitive life he didn’t finish outside the top four at a major event, with multiple LAN wins under his belt. He looked set to become one of the greatest Halo players of all time, but things didn’t quite work out for him. As MLG dropped support for Halo the scene started to crumble. The big money was no longer there, and LAN events became less frequent. Less than a year since the game’s release the scene basically disappeared, and Ninja started to look elsewhere. Specifically, towards Call of Duty, where he started out with Black Ops II before intending to try and go pro in Ghosts. At one point he even spoke to Matthew “FormaL” Piper and Ian “Enable” Wyatt about teaming with them in CoD, as they made the switch from Halo. Both of those players have since won multiple events in CoD. Call of Duty didn’t work out for Ninja, and with pro Halo seemingly dead he started to focus more on content creation and streaming. He was starting to put up some impressive numbers, especially on Twitch, with a lot of Halo action but also more variety to the games he played. But then in 2014 disaster struck, and he managed to detach his retina in his right eye, which required some serious surgery or could have resulted in a loss of vision. The surgery forced him away from the limelight for around a month, and in that time his stream numbers dropped dramatically. It was a major setback for him, and one that potentially stalled his rise to the top of Twitch significantly. By the time he returned The Master Chief Collection had breathed some life into the pro Halo scene, which Ninja returned to. The team he played with at the launch LAN event was quickly picked up by Cloud9, one of the biggest names in esports. While he never quite managed the heights of his Halo 4 days, he was still a top-level player in a top-level team. But he continued to stream, and continued with his variety of games, which brought in more than just the Halo crowd. By the end of TMCC’s competitive life he was now playing for Team Liquid, another major org, before joining Renegades for the start of Halo 5. But by this time Ninja was enjoying a lot of success elsewhere. His stream was putting up really good numbers and his YouTube channel was growing rapidly. One of the biggest areas he had found success with on his stream was H1Z1. Ninja’s skills transferred over to the battle royale title pretty well, and soon he was rising the ranks of the H1Z1 streamers on Twitch. He still stuck with pro Halo, and ended up playing for the likes of Evil Geniuses and Luminosity during his final years as a Halo pro. During this time, he was consistently in top eight teams, but never managed to win another major event. Whereas in the world of H1Z1 he did just that, taking first place in game one of the 2015 H1Z1 Invitational at Twitchcon and pocketing just under $20,000. He ended up splitting his time between streaming, mostly H1Z1 alongside massive names such as Jaryd “summit1g” Lazar and playing Halo at a pro level for a few years. But 2017 would prove to be a year full of changes for him. When PUBG launched and started to dominate Twitch Ninja got involved, moving across from H1Z1. After a few months of streaming PUBG and coinciding the with end of the Halo season he decided to retire from pro Halo in July 2017 and focused on streaming and PUBG, much to the delight of his family who had been saying for years that he should retire and stream full time. But within a couple of months he was back on stage competing, this time at the Gamescom PUBG Invitational where he took first place in the squad’s competition with Luminosity. He stuck with pro PUBG for a while, even making it to IEM Oakland in late 2017, but that was when his life changed forever. While he had always been a big name in PUBG he was still struggling to overtake the likes of Shroud and Dr DisRespect in terms of viewers, despite arguably being a better player. But when he started playing the newly released Fortnite Battle Royale his numbers started going up, as he was not only one of the best, but one of the first big names to put serious time into it. This all took place in the mid to late stages of 2017, with Ninja’s first Fortnite highlight video being posted just five months ago in October. That was around the same time that Fortnite was just starting to explode. After a rocky launch, Epic threw in the Battle Royale mode, made it free to play and perhaps more importantly put it on both PS4 and Xbox One. Players who wanted to try PUBG but didn’t have a PC flocked to it, and quickly word of mouth started to spread. The family friendly graphic style brought in the younger players PUBG can’t and it wasn’t long before everyone was playing. Since then he has been on an insane roller coaster ride that no one imagined would be possible. His success streaming Fortnite saw him leave PUBG behind, and now he was focusing solely on streaming. His numbers grew, and then grew some more, and just wouldn’t stop. The popularity of Fortnite certainly helped Ninja, but the way he plays the game was just as important to his success. Not only is he massively skilled and one of the best, but he also brings some creativity with his play, trying to find new ways to finishing foes or winning matches in unbelievable ways. By the turn of the year he was finally challenging the biggest names in the world in terms of viewers, and then a collaboration between Twitch Prime and Fortnite brought in even more viewers to the platform, most of who were armed with a free Twitch Prime subscription to throw at a streamer. With Ninja at the top of the table and providing great streams he was the obvious choice and his sub numbers soared to new heights. He turned himself into a household name, not only through skill, but through clever marketing. He put just as much effort into YouTube as he did Twitch, and his social platforms such as Instagram and actively sought out the mainstream media to try and spread his message. He wasn’t happy with the just the traditional gaming audience, he saw the opportunity to expand into the mainstream and jumped headfirst into the world of superstardom. Now we all know what happened next, he became the biggest streamer on Twitch, breaking almost every record under the sun, and playing with genuine A list celebrities such as Drake who found him on Instagram, which brought in over 635,000 concurrent viewers, a new Twitch record for an individual streamer. Ninja’s career has always had fascinating turns, and he was clearly always destined for success as a gamer, but no one could have imagined the heights he has hit. Perhaps even more impressively, he shows no sign of slowing down at all, and there seems to be no limit to his popularity.